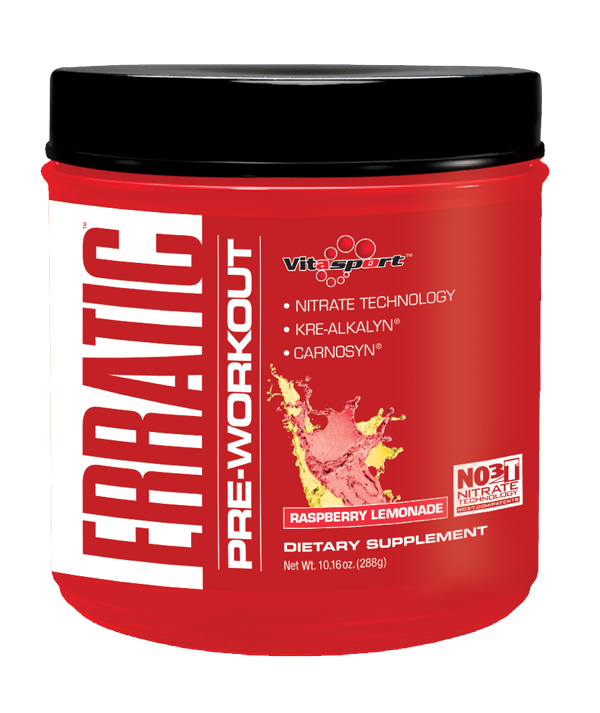 Erratic by Vitasport at Nutrishop Brandon Florida Nutrishop Tampa is a great place to get supplements and vitamins, order by telephone 813-991-9999 today! Erratic is at the Nutrishop Tampa store. Nutrishop and Vitasport have come together to unleash a powerful new pre-workout drink. Erratic is defined as deviating from what is ordinary or standard. The product’s name definitely fits the product. The makers of the pre-workout drink knew what they were doing when they made this one. Vitasport is a legend in the Nutrishop product lineup. Vitasport has delivered some of Nutrishop’s finest products such as: Pro7ein, Gai7ner, Mass Fuzion, and Fuzion AKG just to name a few! So what makes Erratic the latest and greatest? It seems like a new product by Nutrition companies comes out everyday. Many people want to know if there is any difference between these products, People often state they will just go get a generic product since it all is the same. WRONG. To see what Vitasport packed in this delicious flavored product, click below. You will find the supplement facts for one of the industry leader’s pre-workout drinks. Read and find what makes Vitasport such a great name in the game. Now that you are sold on one of the best pre-workout drinks, How do you order? Either visit us or call us. Nutrishop New Tampa is located at 6431 E County Line Rd #109, Tampa, FL 33647. Don’t settle for imitations get the real deal at Nutrishop New Tampa. 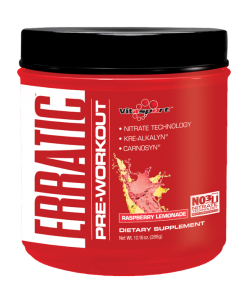 If you have any questions about the product ERRATIC please call us at 813-991-9999 for more information if ERRATIC will help you achieve the results you desire in the gym.